I'm visiting Costa Rica with some friends, and I thought I'd share with you some things I've been learning about this amazing country. Costa Rica is located in Central America. Because of its location on the "ring of fire", the terrain includes steep mountains and even a few volcanos! The mountains are formed at a convergent plate boundary located along the country's Pacific coast. The mountains are home to many jungle animals. I've seen monkeys, lizards, toucans, and even a frog-eating snake! The tropical climate makes it a perfect place for lush plants to grow including palms, coconut trees, and pineapples. We will be learning all about volcanos, plate boundaries, and different climate zones as part of our Earth studies this upcoming year. I'll be sure to share with you some of my adventures in Costa Rica during our lessons. This past week i've been working with the Chicago Architectural Foundation (through a grant from the National Endowment for the Humanities) to create some great math lessons for the upcoming year! I've been focusing my research on the history of skyscrapers, and already have some good ideas for fun activities we can do together (and learn a thing or two about geometry at the same time). You may be wondering what Chicago skyscrapers have to do with our small city...I think you'll be surprised to see that some of our buildings we have in Savannah are directly inspired by buildings found in Chicago! I'll share some pictures from my trip with you at when we see each other at the beginning of the year. 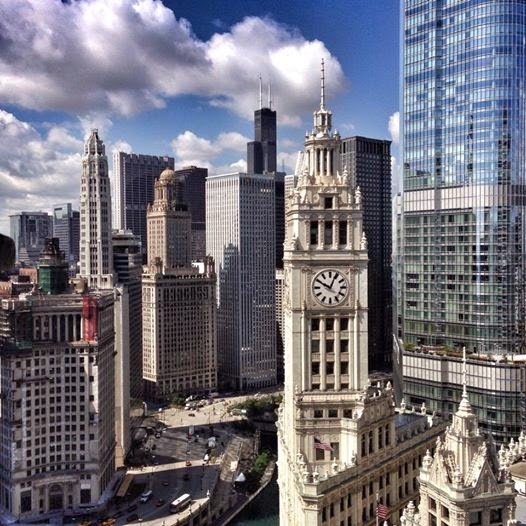 The view of the Wrigley Building from the Crown of the Chicago Tribune tower. 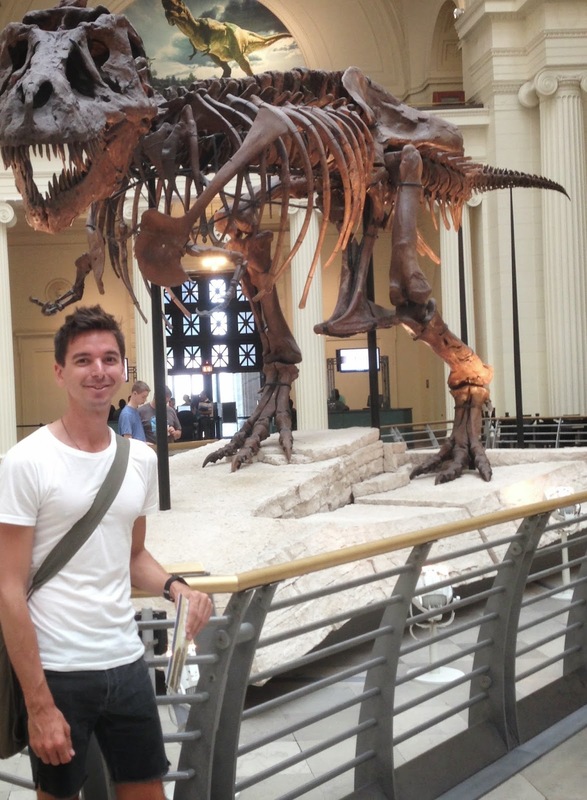 This is a picture of me with Sue, the largest, most complete, and best preserved Tyrannosaurus Rex ever discovered! Sue is on display at the Field Museum.